High waisted bikini Pink Sands, designed by Stefania Frangista whose work I’ve shown to you several times in the past. 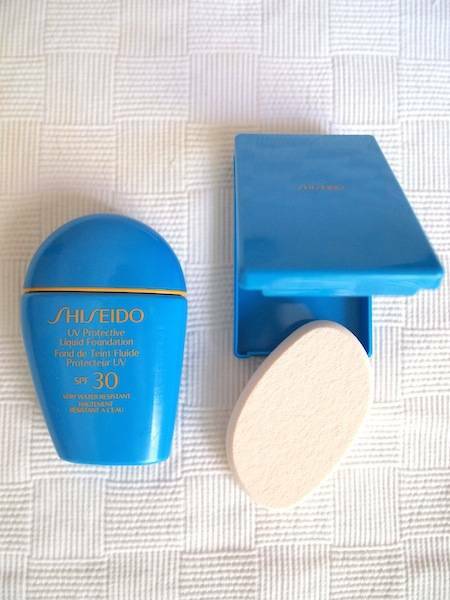 The best UV Protective products of Shiseido, a classic luxury choice that never fails to amaze me with its excellent quality. 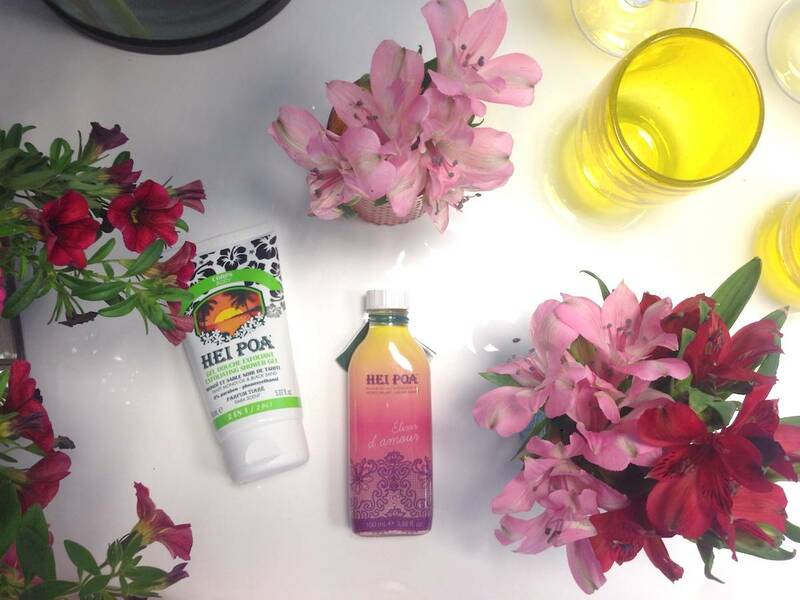 And the always favourite Hei Poa goodies, the body oil with Monoi extract and the exfoliating douche scrub. 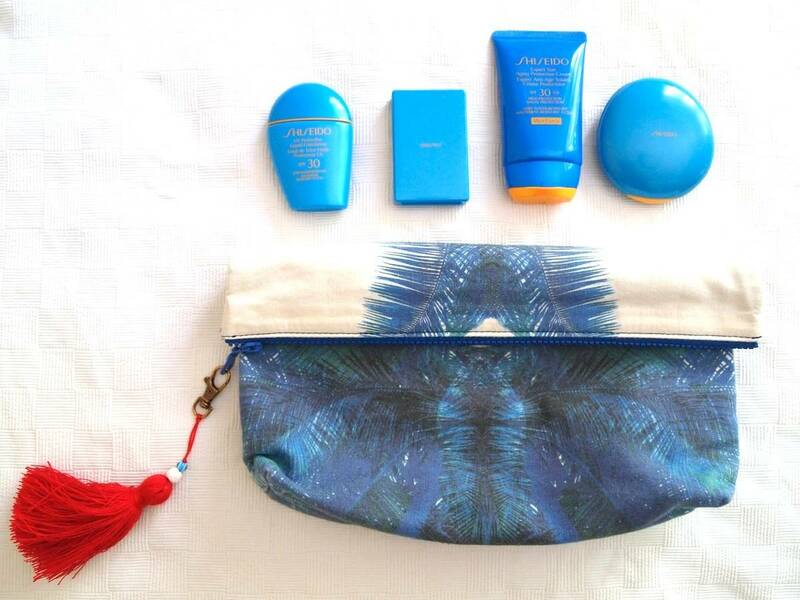 Digital print pouch from morning till evening by Thalatta Concept. 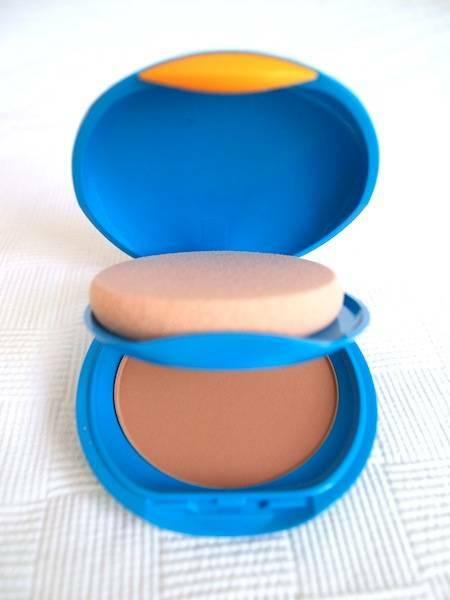 and UV Protective Liquid Foundation.